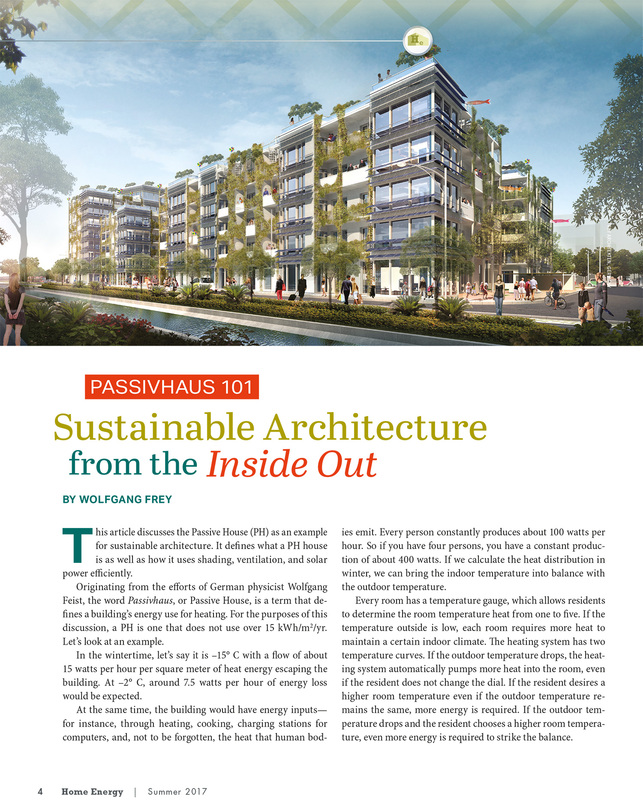 This article discusses the Passive House (PH) as an example for sustainable architecture. It defines what a PH house is as well as how it uses shading, ventilation, and solar power efficiently. Originating from the efforts of German physicist Wolfgang Feist, the word Passivhaus, or Passive House, is a term that de- fines a building’s energy use for heating. For the purposes of this discussion, a PH is one that does not use over 15 kWh/m2/yr.